This morning it's all about the ladies on the Bandshell as teams take the mat to compete in Finals. 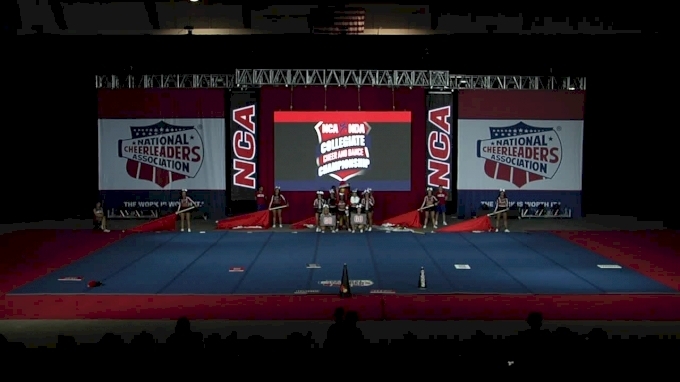 All Girl Division lA, Division l and Division ll are rotating all morning long and followinf the final performance at 1 PM our 2019 NCA National Champions will be crowned. If you couldn't make it to Daytona to watch on Day 1, here is an update on how the divisions look heading into Finals. In Division lA, the University of Lousiville is on track to continue their impressive win streak. The Cardinal's Day 1 performance earned them a 97.02 and a comfortable lead as they prepare to compete on the Bandshell. The University of South Carolina holds the second place rank with a score of 94.35 and the University of Missouri follows behind in third. 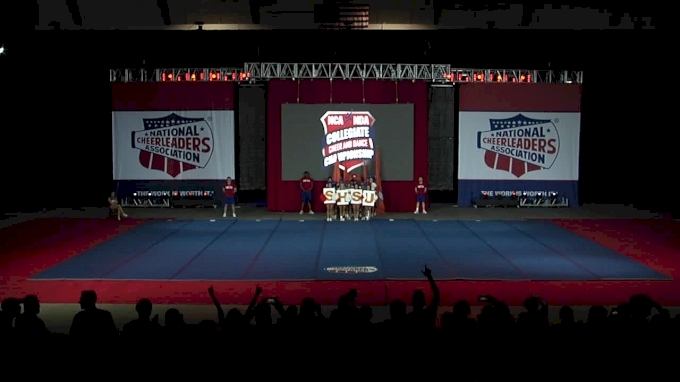 In Division l, Sam Houston State University was one of only two teams to hit a zero deduction routine on Day 1. The Bearcats hold the top spot with a score of 96.47. California Baptist University is heading to Finals in second with a score of 96.18 and Stephen F Austin State University is in third with a score of 95.93. 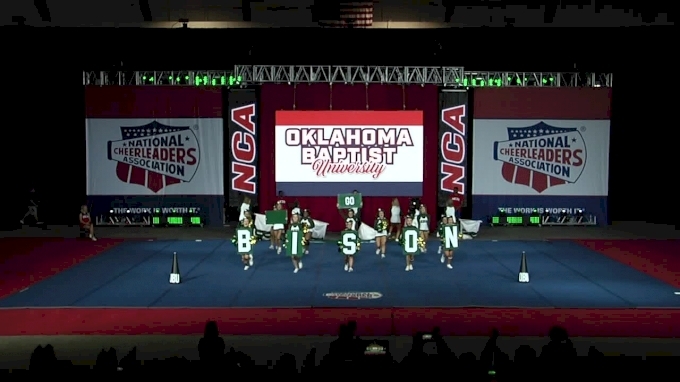 Last but certainly not least, in Division ll, Oklahoma Baptist University is sitting pretty in first place with a Day 1 score of 95.65. All girl powerhouse, Davenport University, is currently in second with a score of 94.73 and Gannon University is in third. Who will claim the 2019 All Girl National Championship titles today in Daytona? Watch LIVE on Varsity TV to find out!